The colors we chose were ones that we already had from previous painting work. 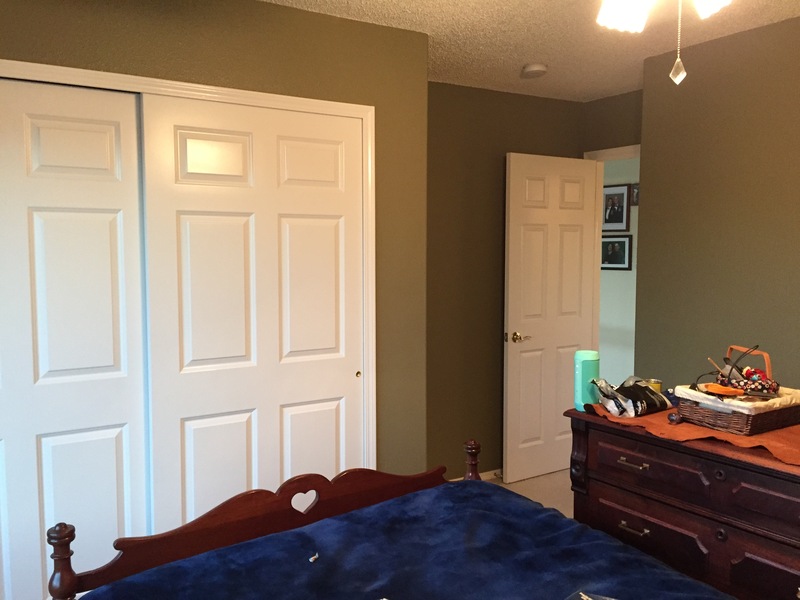 The greenish color is Behr’s Ultra Premium Plus “Dry Pasture“, which we already have on our dining room and basement bathroom walls. We had a full can of Dry Pasture in the basement storage area, which ended up taking care of about 85% of what we needed. Isn’t it always like that? Dave ran to our local Home Depot and picked up another can while I worked on the corners and top edges. The wall behind the bed’s headboard was painted a color called “Ivory Lace“, which is also a Behr color. We didn’t need much of this color at all, we had most of a can from our basement painting work in 2013. Pardon the lighting, but you can see that we left one wall light: this is the wall that will be planked tomorrow. 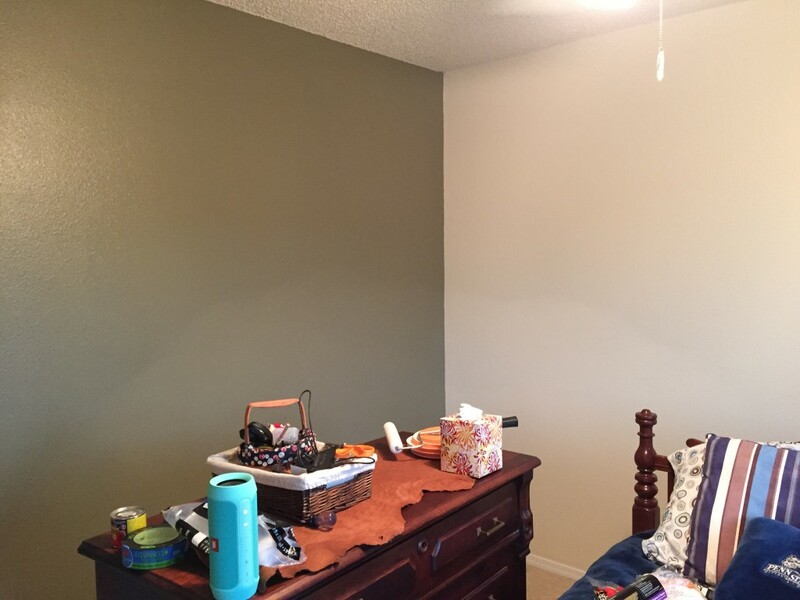 The color of this wall is meant to replicate the chinking between logs on a log cabin. 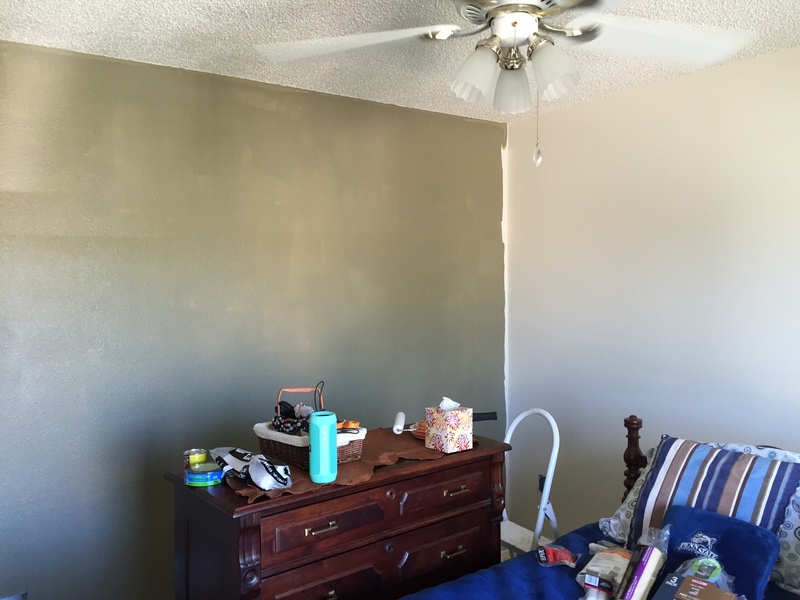 I was taken aback at how thin the first coat of paint looked…. 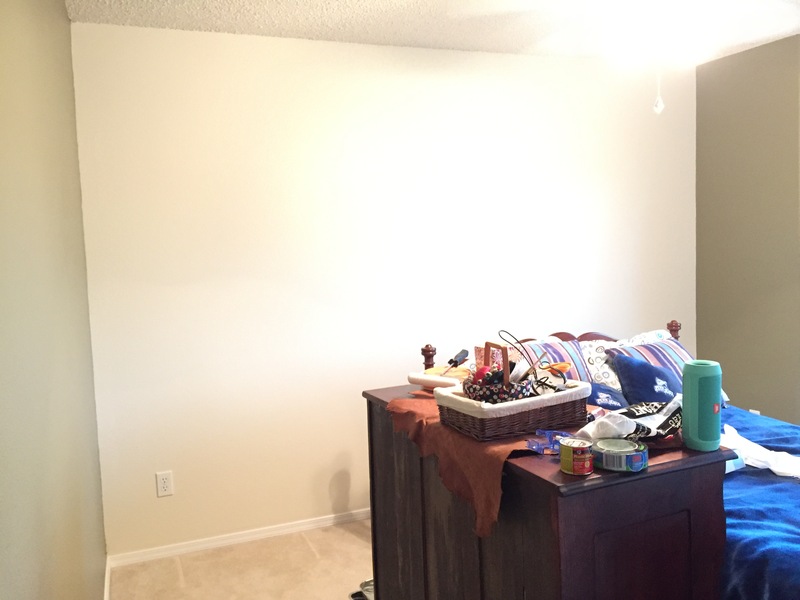 …but the 2nd coat did a great job evening things out. Stay tuned! Tomorrow we attempt the faux-log planking!! !